Happy Birthday Bird and Can! What better way to celebrate our first anniversary than us failing miserably on our cake?! 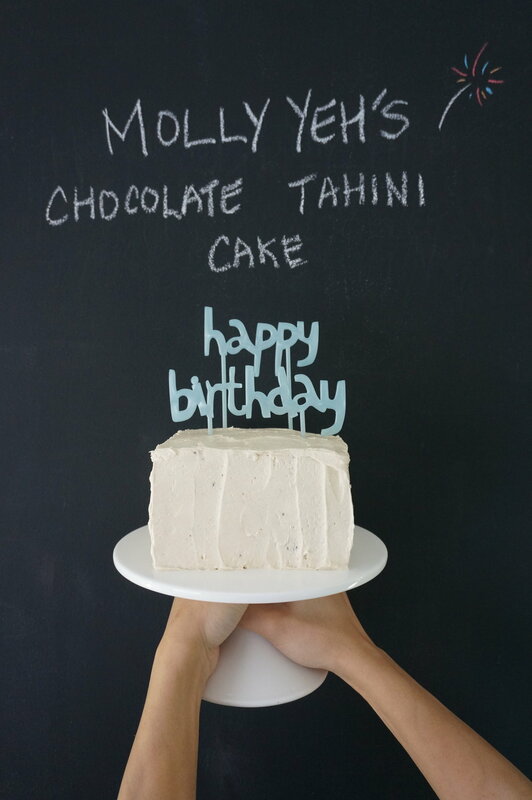 We first tasted this cake last year at Molly Yeh's cooking class and we were both amazed that tahini was an ingredient in a chocolate cake. Not only that, but it was also delicious and not sweet at all. 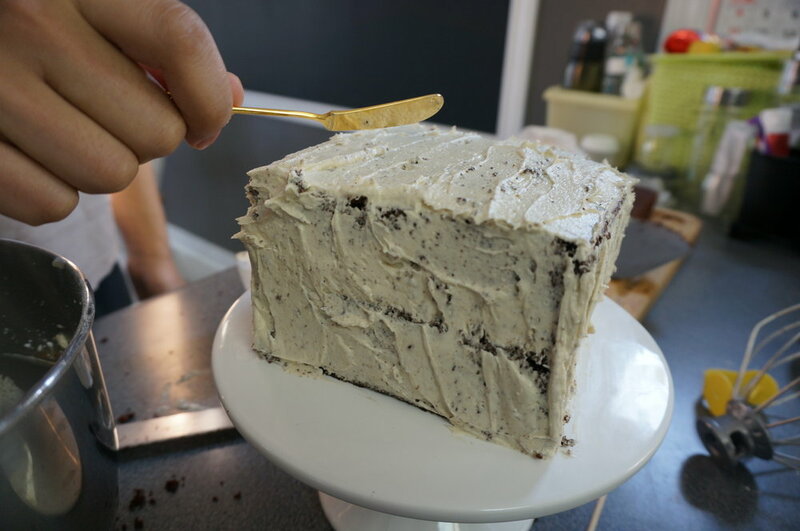 Since we didn't have an 8" circle baking sheet, we used a 9 x 13" cake pan thinking we will simply cut the cake into equal size halves and stack them together to make a rectangular layer cake. 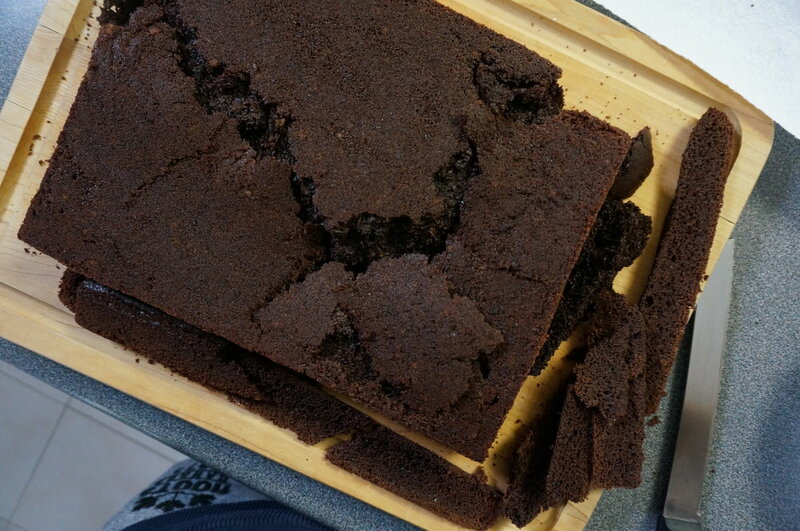 Possibly due to our impatience in waiting for the cake to cool down, the cake broke into multiple pieces in the process of removing it from the baking sheet to the cooling rack. It was frustrating since we usually attempt a recipe once and the prospect of us having to start from the beginning again was daunting. 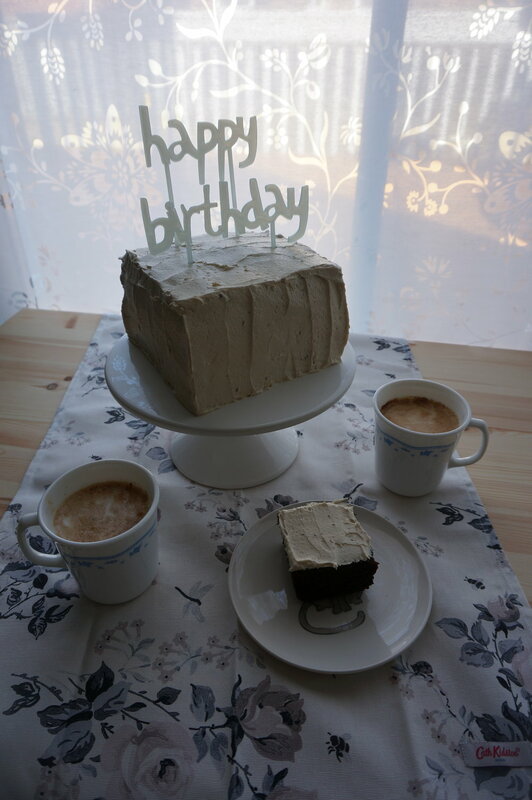 We ended up frankensteining our cake into something that resembled two squares. 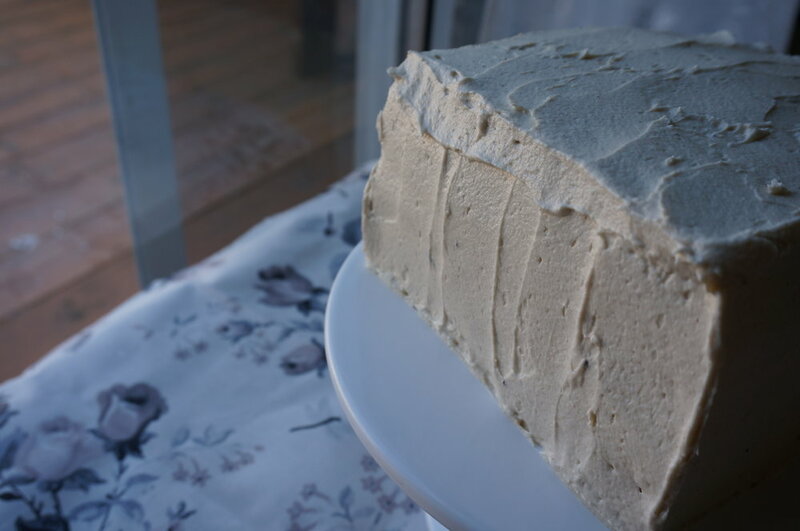 With the power of frosting, it covered everything and smoothed out all the sides. It all worked out in the end, you just have to pick yourself up even if you didn't succeed at first. Nothing ever works out perfectly but hey, its good enough. I do have to say, we were most concerned with the visual look of the cake. The taste of the cake was good from start to finish. Here's to many more years of us trying and failing. Thanks for bearing with us on our adventure!